My graphic mode is indeed 3X. I've tried changing it in every other option including OpenGL. Also experimented with Stretch Mode and GUI Renderer options. Where does your version of ScummVM 2.1.0git comes from? 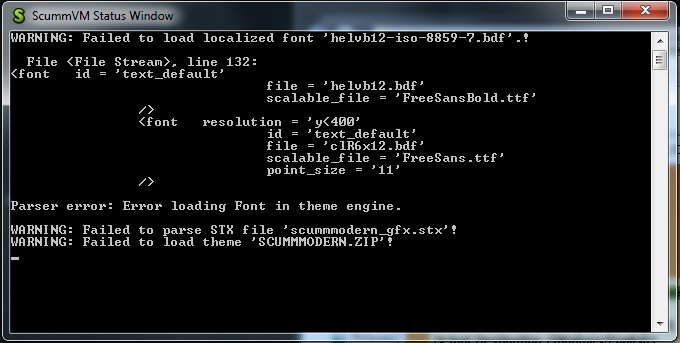 Looks almost like it wasn't compiled with FreeType2 support enabled. Have you compiled this by yourself? Is FreeType2 mentioned in the "About" dialog? if i change to any other language it doesn't give me an error and the fonts are corrected.